Support St Albans Morris and order your copy of Morris! Hey! here. The Morris! Hey! 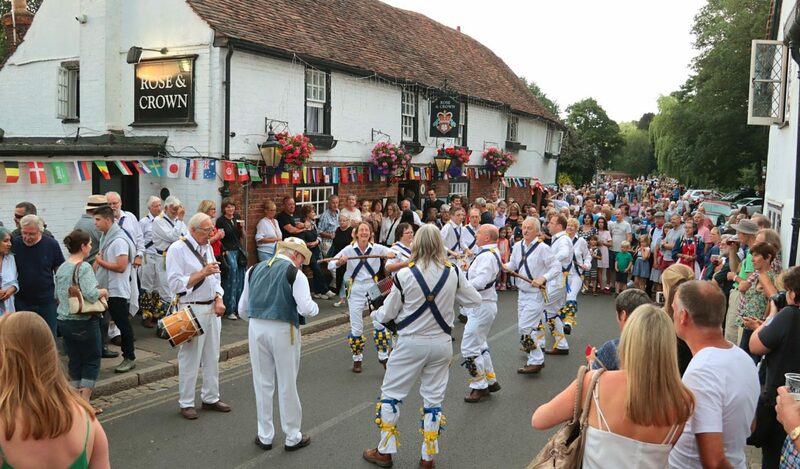 was created by Mike Ruff – morris dancer and musician with St Albans Morris – to provide a simple and effective resource pack to support the teaching of Morris dancing. There are 6 dances covering the main Morris traditions: Cotswold, Border, Molly and North West, and each dance is performed in full and then broken down into easy to follow instructions for steps and patterns with close ups, freeze frames and slow motion shots. The helpful book then backs this up with diagrams, descriptions and more hints.